Path MEGAzine > News > Gospel > Greenleaf Season 3 Soundtrack Hits Digital Music Outlets Today! 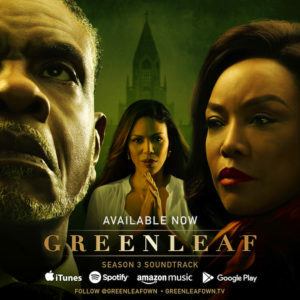 Greenleaf Season 3 Soundtrack Hits Digital Music Outlets Today! One of the most watched and talked about TV drama series in the country is Lionsgate’s Greenleaf. With each weekly airing on the OWN: Oprah Winfrey Network, the show captivates viewers with the ongoing deception within the Greenleaf family and in their popular megachurch. This entry was posted in Gospel, Reviews and tagged Greenleaf, SEASON 3 SOUNDTRACK by Kris Patrick. Bookmark the permalink.